Tired of hair falling with just a stroke of a brush? Solve this dilemma and stop hair loss before it gets worse. Argan oil is known to have therapeutic effects that help prevent thinning and falling hair. As a common ingredient in natural hair care products, it has many benefits that address the root of the hair problems. 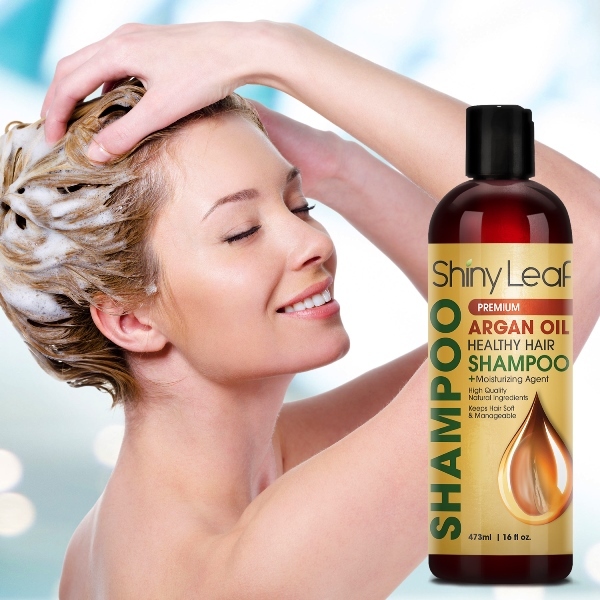 Shiny Leaf Premium Argan Oil Shampoo made use of this natural extract to nourish and protect hair from getting weak and falling. Shiny Leaf designed their formulas to bring out the maximum benefits out of organic ingredients. 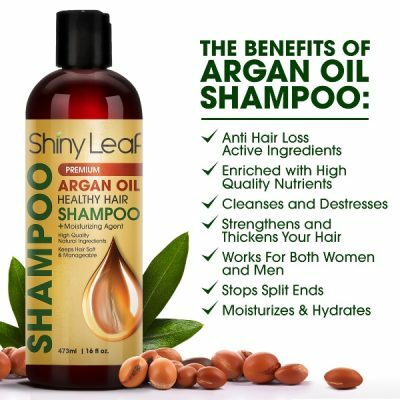 Their anti-hair loss shampoo has Argan oil which works well in improving hair and scalp health. Hair care issues often take root in the scalp. There are a number of symptoms linked to hair loss. Knowing these symptoms is important in solving the issue. Hair gets weak and brittle when it does not receive enough moisture and nourishment. Damage such as split ends and frizzing are results of having weak strands. Shiny Leaf Premium Argan Oil Shampoo delivers the solution that will treat these damages and prevent further hair care concerns from happening. With one use, it transforms dry and damaged hair into soft and silky strands with improved strength. This formula seeps into the follicles to exfoliate and lift off any dirt, oil, and toxins that may cause clogging. It also stimulates healthy hair growth. 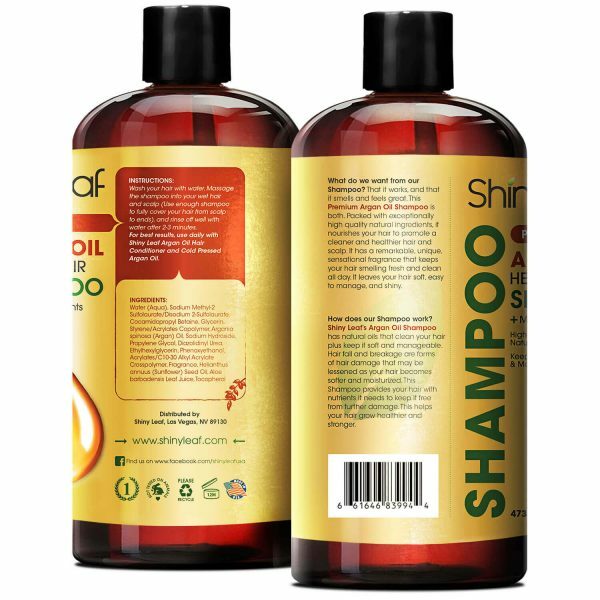 Men and women can both enjoy this shampoo for a therapeutic hair wash. 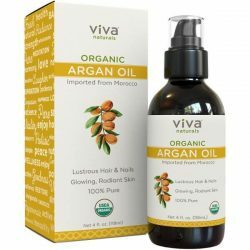 The Argan oil also provides essential fatty acids and vitamins that are all necessary for hair health. 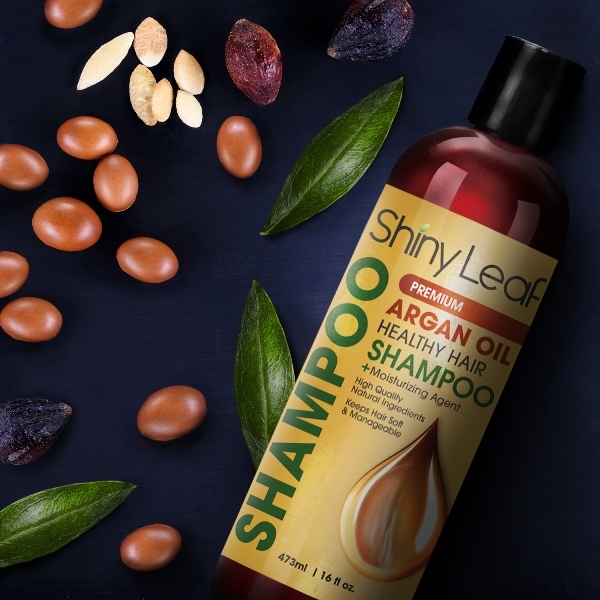 Shiny Leaf Premium Argan Oil Shampoo boasts of a special formula with natural ingredients that pack a load of benefits for hair and scalp. It hydrates the scalp to prevent drying and improves the texture to give hair a softer and silkier feel. Restore the luster and shine of healthy tresses easily with regular use. 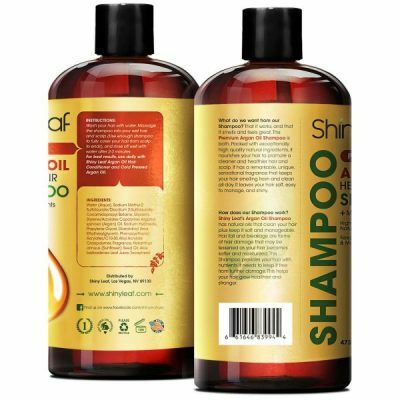 Daily wash with this shampoo helps repair damages. 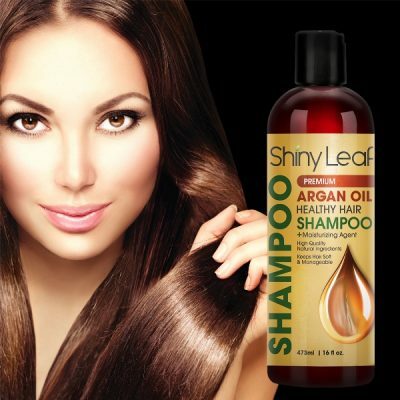 With Shiny Leaf Premium Argan Oil Shampoo, gain hair strength resulting in strong and silky tresses. Comes with a gentle sensational fragrance. Special formula made from high-quality ingredients. 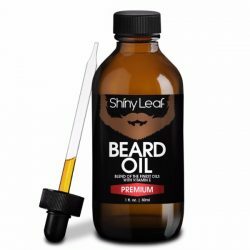 Boosts hair strength and shine. 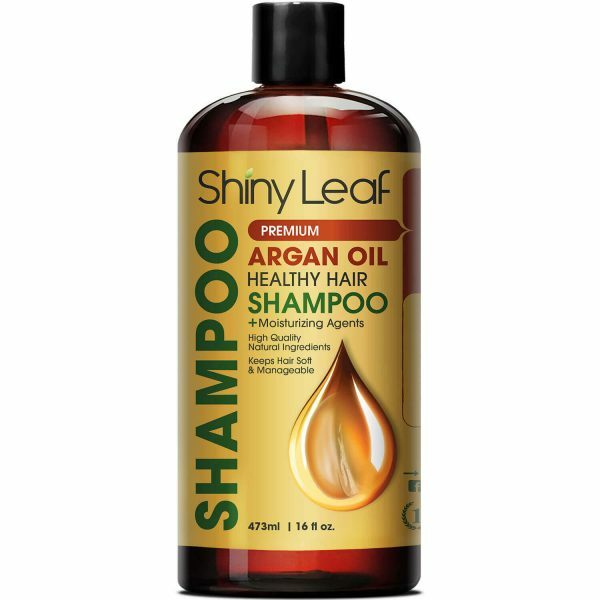 Promotes thicker and stronger hair growth. 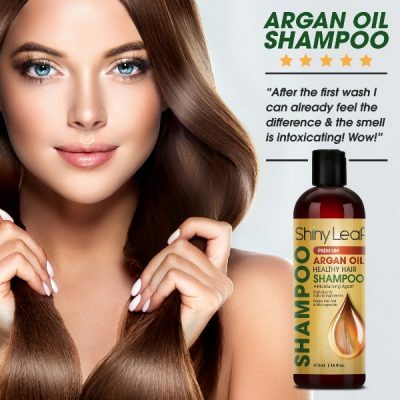 Infused with Argan Oil for boosted hair health benefits. Exfoliates scalp and pores from any dirt and oil. Rejuvenates hair and scalp for healthy hair growth. Works well for all hair types. For external use only. Avoid contact with eyes. Rinse immediately once contact occurs. Wet hair and scalp before applying the shampoo. Squeeze out a dime sized formula or any amount as needed onto palms. Smooth over the hair and knead into scalp. Massage for 2-3 minutes to let the nutrients penetrate the hair and scalp. Rinse thoroughly with water. Make sure not to leave any soapy residue. Follow up with Shiny Leaf Argan Oil Leave-In Conditioner for boosted effects.